It's saying I need permission to view the lists? Is this working as normal or did I miss the boat? The initial link from the GT is down, yes. Though I do have a copy of the data that i'll republish later though it won't be the final version. Also, out of interest - do the ‘Black Templar’ or ‘Black Templars’ keywords net any results? Yes, but only in this singular detachment with token units unfortunately. I'll try to get the file put up a little later today. That’s... heartbreaking. 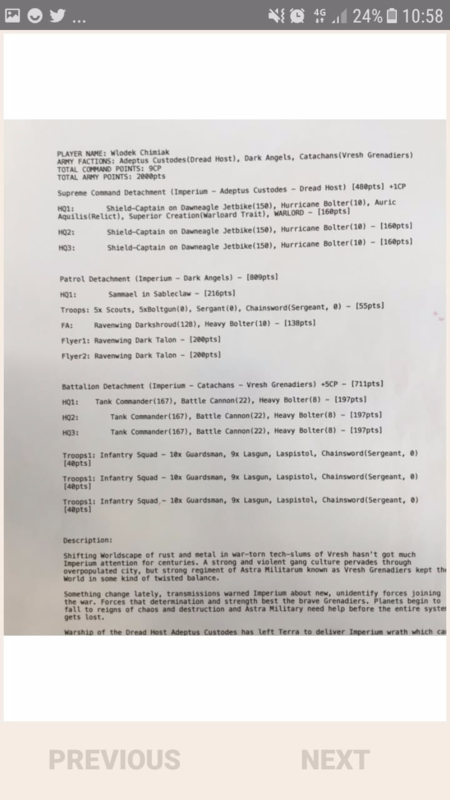 The only Black Templars units were 3 minimum Scout squads in a Detachment with a Librarian. I know why they’re there - for Deny the Witch - but that’s still a travesty. That’s not just breaking the lore, that’s beating it to death in front of its children. Oh and Cenobytes. The game’s cheapest backfield out of line of sight objective campers. Without Grimaldus or even a Templars character. Crunch >>>> lore, for better or for worse. In this case, worse. In tournaments, this is true! But not everywhere! Some people say they know no fear. What they mean is that they have encountered and conquered it. I, on the other hand, truly know no fear. It is as alien to me as doubt, rage, or mercy. 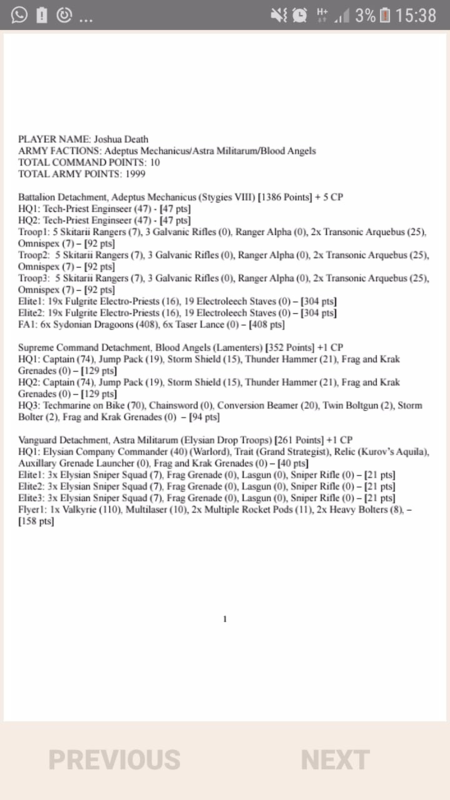 Can we collectively ask the GW Rules Team to peruse this list document? It becomes evidently clear which units are horrible right now. There are only four Land Raiders, no Striking Scorpions etc. Does anyone know the results of the tournament? My searching for information has only come up with complaints about the unpainted styrofoam terrain (which is fair, but still I wanna know the winning list). 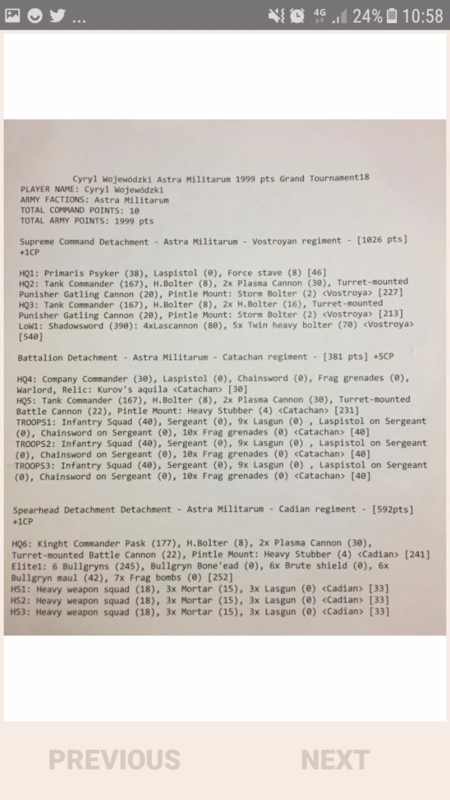 GW has shown to have lots of stats about armies and compositions at their own tournaments. I assume they are well aware of this document and took stats from it. Mike Porter won the GT with Custodes + Guard and 3 assassins. Winning the final game against another Custodes. 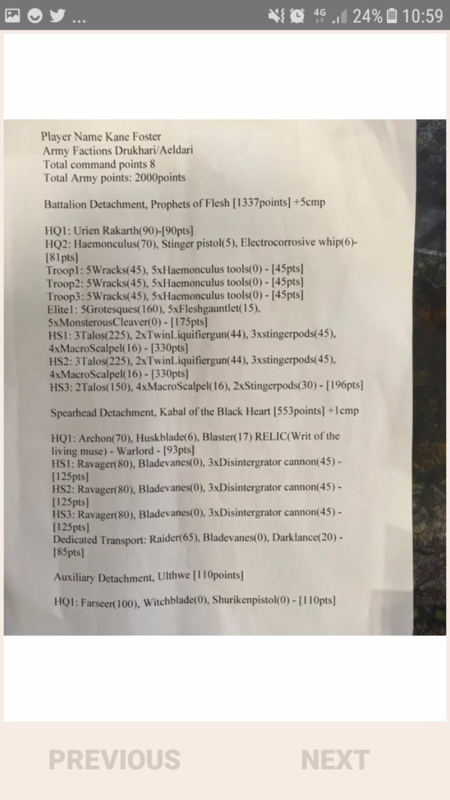 Another Guard + Custodes and BA, an Ork horde, an Eldar soup and a Dark Eldar made up the top 3 tables for the final round. Thank you for the information! Kinda disappointing that both tournaments were won by largely the same list, though. It sounds like the Custodes/Guard soup was rather dominant in general. I don't know. The combination is really strong there is no doubt about that but its also very binary. A couple of bad saves and you lose half your army and fold. But on the flip side you get games were you don't fail a single 4++ and its a complete stomp. I think it lends itself to an army that can spike really well. You see the guy who doesn't fail his saves win the tournament but you don't see the guy in 158 who loses 5 bikes to a bunch of lasguns turn 1. 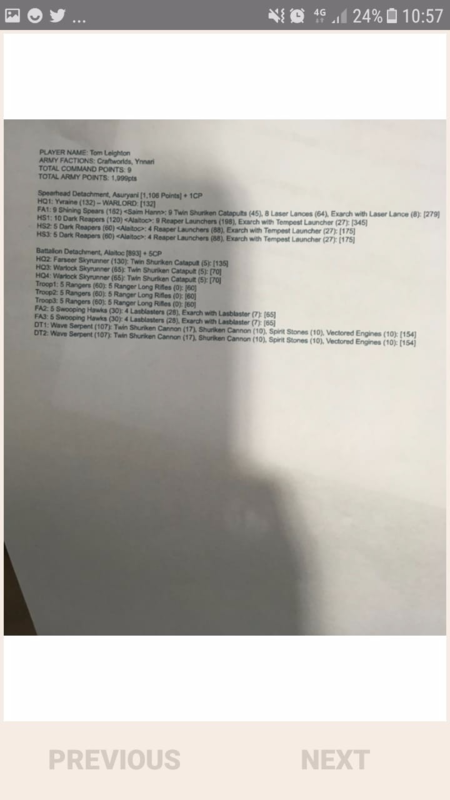 As an example the winner of the invitational played the same Tau opponent in the previous game of the GT (the Invitational finals were after game 3 of the GT) and he lost it (learning some things to do different that helped him in the invitational). He then also lost the 4th GT game to go 2-2 and dropped, probably because he was tired after so many games and couldn't finish high anyway. Holy hell, anyone got the Ork list? If you start looking at bad luck pretty much any army kneels over so bohoo...There's no army immune to bad luck so "army can be defeated by huge bad luck" isn't exactly a good point. It's amplified a lot though when it's bad luck rolling on expensive models. 10 wounds on custodes bikes vs 10 wounds on guardsmen from rolling ones is a big difference. 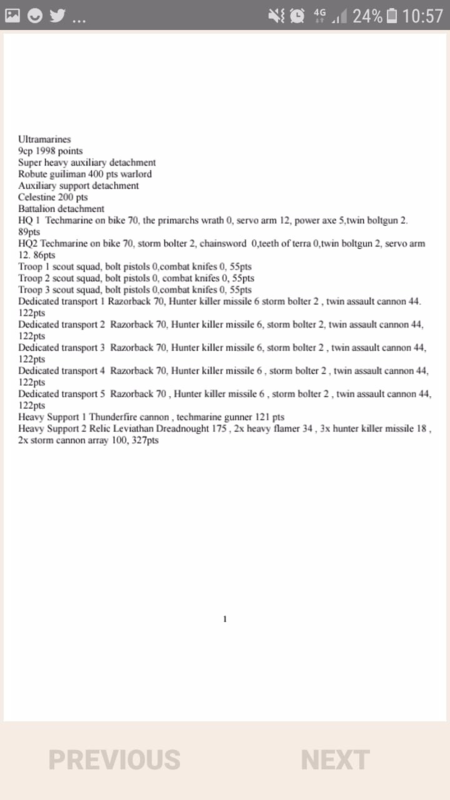 The only sort of list Orks can run at the moment, Flood the board with models and hope the enemy can't deal with all of them/the game ends before they do. Right - I still think they'll see the nerf bat, but the biggest reason they made the top table is there were so damn many of them. Yes, but there's a difference between "You could do no damage with your 100 lasgun shots by rolling no 4+ to hit rolls" and "you could lose your biker captain by rolling then re-rolling a 1-2 on your 3++ vs a melta weapon, then a melta damage roll does what a melta damage roll does to him"
It's still a 1/9 chance overall, but it only requires 2 dice rolls. The more dice you roll, the much closer to the expected average you'll get. It's easy to buck the averages with 1 or 2 rolls (heck, 1 roll is guaranteed not to be average, since the average is 3.5 for a D6). It's much harder with a thousand, or a million, or ten million. 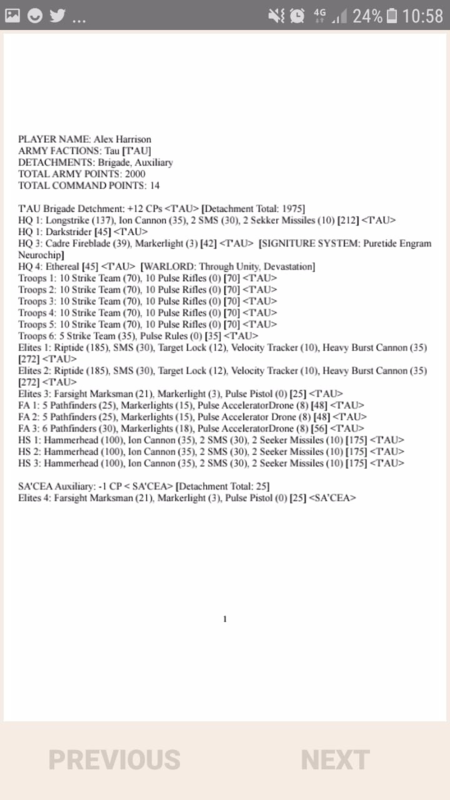 Armies that spam infantry are on the end of the scale where you could pretty well approximate their performance just by calculating averages, while armies like Custodes have performance that is way above average some games, and way below average other games, but doesn't roll enough dice in a single game to hit the average as well. Pretty mixed bag. Liking it. Oh hey, a winning list that cheated (probably inadvertently!). 5 CP for the BN, 3 for playing 1 for the Outrider Detachment is 9CP, not 10, leaving him with 8 for his games because of the 2nd relic. 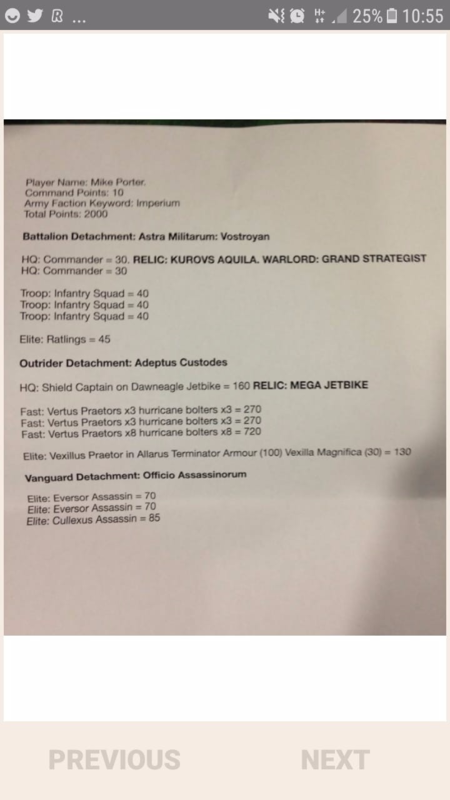 The Vanguard Detachment of Assassins gives 0 CP as part of the FAQ that permitted it. For my own games, I played against the Alaitoc list above that came 2nd and lost 13-7, due to a fantastic last turn on my opponents part (good play, not luck) and a rubbish last turn on mine (bad play, not luck). I had been winning up til that point. Game 2 I played against Blood Angels and got a win 16-4 win, which would have been a 20-0, but we ran out of time on turn 3. Game 3 was against Custodes and Guard (2 Shield Captains, 9 Dawneagles, 9 basilisks) I won 13-7, but again would have won by alot more, we run out of time turn 4. Game 4 was against pure guard, I won 15-5, made a horrible mistake on turn 1, which meant I couldn't table him til turn 5. Game ended turn 4. So time out + mistake. Game 5 was against Chaos Demons, I lost, but again this was to time out we only had 3 turns and my opponent and I agreed that had it gone on instead of being 11-9 to him I would have comfortably won and either tabled him or only left him a couple of nurglings on the table (all his demon princes were already dead, his bloodletter bomb was dead and his horrors were perma locked in CC by the end of 3). My take away: I need to practice more, not playing 40k for a month before a tournament is silly. I was playing too slow basically, so I couldn't compensate for the large number of models my opponents had to move. Also, I made silly mistakes. I find it interesting that you ran out of time on all of your games even with the 1750 point limit. Can I ask what, you feel, was the reason for time running out on your games? That is pretty lame. Someone playing a tourney should have known, and the TOs should have spotted. The tourney was 2k, not 1750. All these lists are 2k. 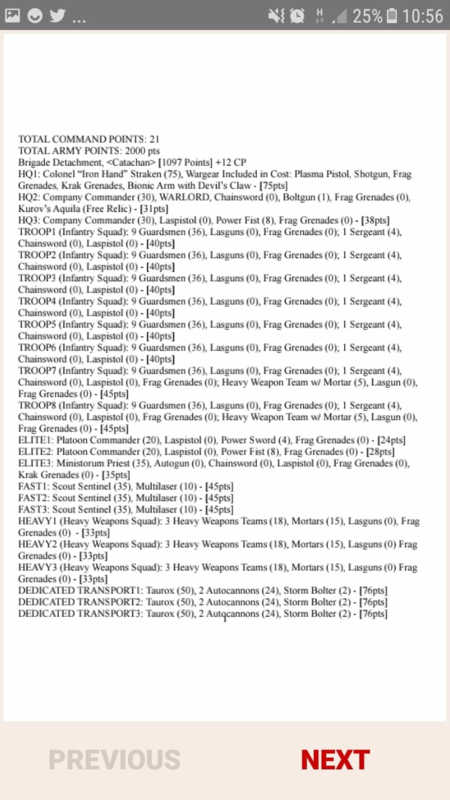 How did the 1st place list have a relic in two different detachments from two different armies. I thought your relics have to be from the same army as your warlord? Your free relic must be. You're allowed to use the applicable relic Stratagems from any factions you have detachments of to purchase additional relics after that. Detachment, you have access to their Stratagems. Basically, its a stratagem just like everything else. 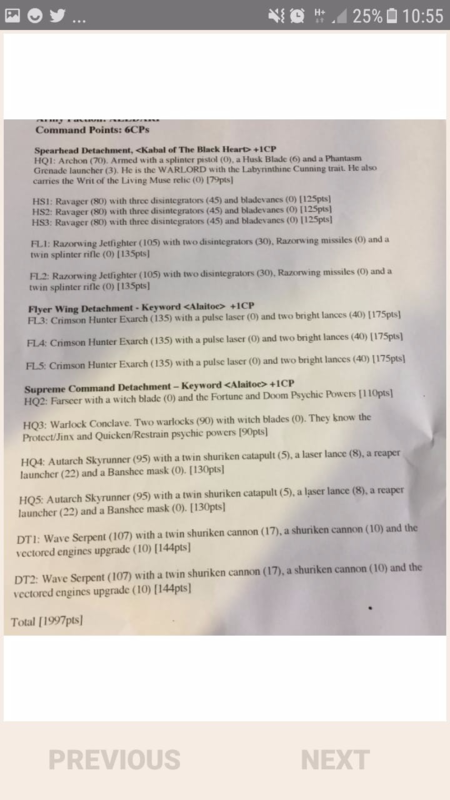 This guard list is a trip and a half to read. I would love to see how he was playing this. 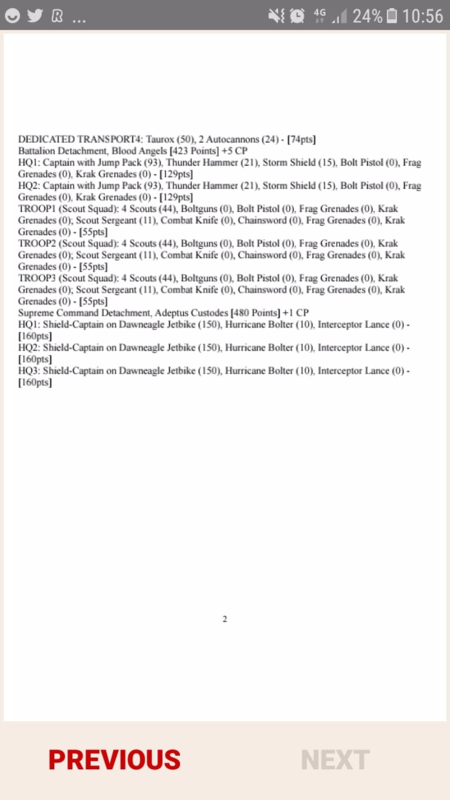 Most IG players would consider only 30 guardsmen suicide but I'm guessing he made some clever use of the bullgryn and shadowsword to cover up his weakness to assault. Kind of sad to see such a weird looking army regiment wise but the guy clearly knows what he's doing with IG from the look of it. I don't like the tank commanders being split across the regiments but they all can order themselves so it's really just an aesthetic thing. I see, I've been playing my relics wrong then lol. Thanks !